Cinnamon as one of the major SuperSpices. Not only does it spice up a dish, adding depth and richness to the recipe, it also provides amazing health benefits. This has been known for centuries. Cinnamon has been widely documented as one of the oldest spices, and frequently pops up in literature from across the centuries in traditional medicine and cures. But this isn’t just myth; modern science has confirmed just how good cinnamon is for your health. According to recent studies, it has positive effects on blood glucose levels, as well as triglyceride and cholesterol levels. This makes it a wonderful SuperFood to help people who suffer from Type II Diabetes, and those who struggle to control their cholesterol. 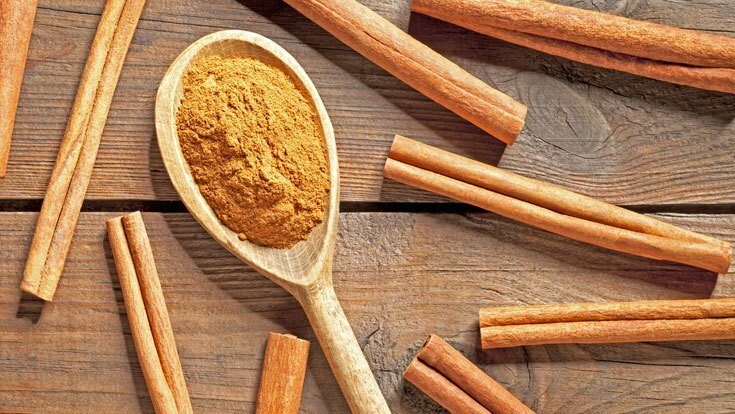 Additionally, cinnamon is recognized as antibacterial and antifungal, and is touted for its ability to provide a kind of “brain boost” to sharpen mental focus. On top of the already stellar boosts to your health, the benefits of cinnamon extend to areas of your life you might not expect. There are several uncommon uses that can still impact your life in an amazingly positive way. Just a few drops of cinnamon essential oil will transform a room with its warming fragrance—it’s a bonus way to pep up your spirits if you’re feeling under the weather. Again, the spicy effects of cinnamon oil will invigorate any massage and make bath time seem extra warm—and your skin will smell like cinnamon candy! That’s right, according to Motherearthliving.com you can combine cinnamon, cocoa powder and cornstarch into an all-natural glowing bronzer. All you need to do is add a little plain lotion and mix until you find a color to match your skin tone. We haven’t tried this, and different skin types respond to natural treatments in different ways, so test it on a small part of your skin before applying the mixture to your entire body. Some sources say that ants have a natural aversion to cinnamon, allowing you to use it as an at-home repellent—along with other spicy foods. Instantly turn any plain candle into a scented one by sprinkling a few drops of essential oil onto it before burning.